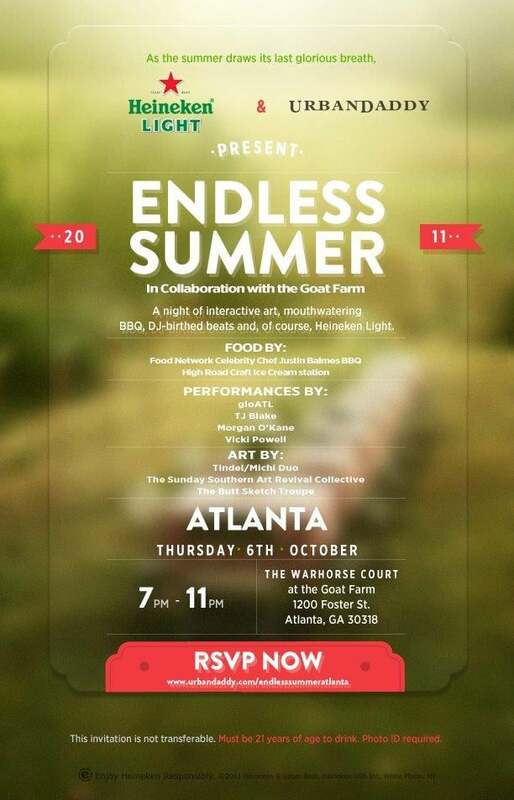 Thursday, October 6, 20011 TINDELMICHI: Two Fat Southern Boys Who Paint will be painting live at this event. A collaboration between Heineken Light, UrbanDaddy and the Goat Farm, the event should prove to be a feast for the eyes. Come watch us create an 8 foot piece from scratch during the 4 hour event. Shyeah! Link to the Event on Facebook. RSVP its free.